Should The Reserve Bank of Australia Issue a Digital Currency? During a recent Australian Business Economists forum, the Head of Payments Policy Department for the Reserve Bank of Australia, Tony Richards, had a lot to share on cryptocurrencies and distributed ledger technology in the Reserve Bank’s perspective. Of particular interest was whether the bank might consider issuing a digital version of the Australian Dollar. According to Richards, Bitcoin and many other cryptocurrencies were largely impressive and admirable, but flaws in their design coupled with limited usage within Australia made them unnecessary and hence there was no need for the bank to issue a new digital version of the Australian Dollar. Australia can boast of having some of the most forward-thinking people, they easily adapt to new technology and stay ahead of the trends in the world. 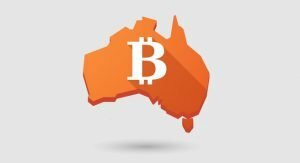 In relation to Bitcoin and other cryptocurrencies, the Australian government has maintained an open attitude towards the purchase and use of the digital assets. Although cryptocurrency adoption has been slow within the country, it has been progressive. Like Richards notes in his speech using his own life experience, you can buy a cup of coffee using Bitcoin in several cafes. However, the reserve bank through research and following the Bitcoin trend over the last 5 years sees no need for it to issue their digital version of the AUD. Even though cryptocurrencies have remained largely impressive, the trend it has set and its current limited use within Australia shows there is no need for it, or indeed anything like it. One of the main reasons that Bitcoin is unnecessary according to Richards is because Bitcoin has been largely adopted in countries or by people who do not trust their central currency, a problem that Australia doesn’t face. Richards continued to say that the Australian Dollar boasts of over 25 years of stability and low inflation which makes the need for an alternative currency low. On top of the adoption issue, there was the question of whether cryptocurrencies are money. Here, the RBA official compared cryptocurrencies using the key attributes of money. Namely, it should represent a store of value, a medium of exchange and a unit of account. As a store of value, cryptocurrencies have proven to be too volatile. Events triggered by government regulations, exchange hacks and so on have seen many cryptocurrencies plummet and lose billions within hours or days. As a unit of exchange, it has all depended on its performance, when the cryptocurrencies were performing well, many institutions and companies would accept them as mediums of exchange but with the recent price fall, many companies are reverting their decision to accept cryptocurrencies as a means of payment. The third attribute saw Richards emphasize on how after years of adoption, there are still very few businesses accepting Bitcoin and other cryptocurrency payments. To round off his speech, he said the Reserve Bank of Australia was very much following the developments within the cryptocurrency market and although they remain open to the idea of integrating some aspects of the market to the central bank or indeed issuing their own cryptocurrency, this is not something they are working on or see as important or necessary any time soon.